On Sunday 16th. 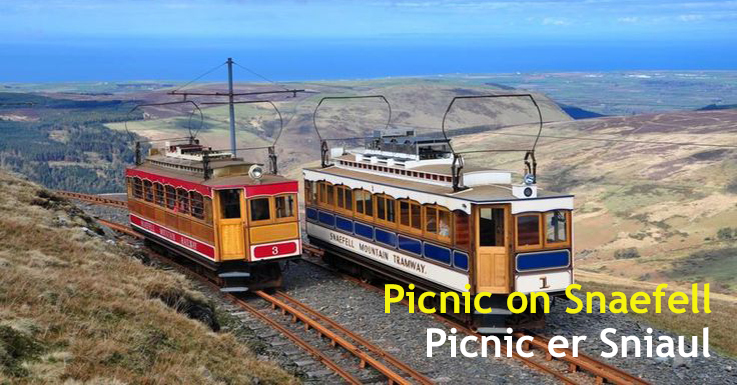 August, as part of the ManxCacheFest, come and join us on our only mountain and have a Picnic on Snaefell. Here you can also find the highest cache on the island and view the ‘Six Kingdoms’. Special price tickets for the tram from Laxey can be ordered on the Manxgeocaching Store.